According to head of Rosoboronexport’s delegation, Russia has signed its first contracts on the export of Ka-52 Alligator attack helicopters. 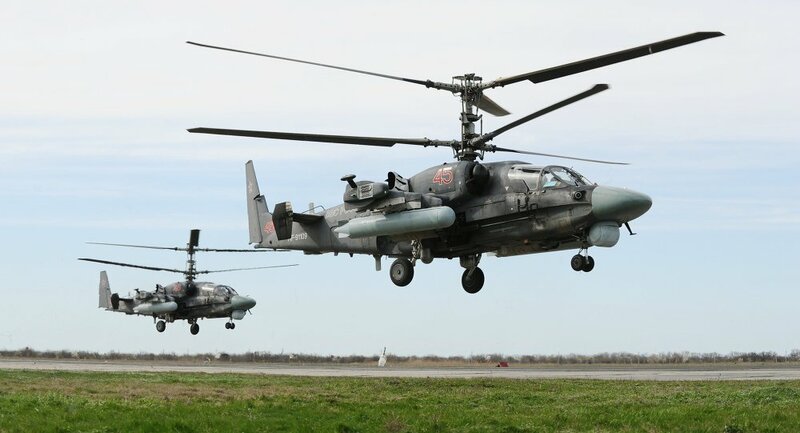 LE BOURGET (Paris) (Sputnik) – Russia has signed its first contracts on the export of Ka-52 Alligator attack helicopters, the head of Rosoboronexport’s delegation said Thursday. “We have the Ka-52 in its export model and we have contracts for it, and it’s already being spun because it has a good, firm future,” Sergei Kornev said at the airshow outside Paris. Kornev did not specify the volume of contracts or with whom they were signed.